I will be attending this year’s Sheffield DocFect, one of the biggest documentary festivals in Europe, to meet with documentary producers and generally get a feel for what is happening with independent films in Europe. I went last year as well and I attended this great masterclass with producer John Battsek of Passion Pictures (Searching for Sugarman, The Imposter, Manhunt). Luckily, Sheffield DocFest has uploaded the class to their Youtube channel [link below]. I pulled out a few nuggets of advice for the documentarians because you may not have over an hour to devote to this video. “Lots of archive, lots of music, all of it is expensive, but makes a difference…We bring cinematic ambition to the way we shoot, the way we cut, the music we put on the films. We gravitate toward projects that feel cinematic in scope….In doc making the editor is as important as anyone. You need an editor that can really realize a cinematic vision.” During the session, Joe Bini is singled out for editing praise, The Mill for graphics and Philip Sheppard for composing. “Sundance is the key festival for launching feature documentaries. They offer great programming, but also it is the first major festival of the year and American buyers, in particular, go there aggressively wanting to outdo their rivals. Also, I think the high altitude messes with their heads! 5 years ago we had 3 films at Sundance; Crossing the Line, My Kid Could Paint That, In the Shadow of the Moon. We screened them and everyone went berserk. It was just before the bottom fell out of the world. We got into a bidding war, the kind you read about in the trades. The prices just kept going higher… For years, people blamed us for making the bottom drop out of the prices paid for docs because ultimately none of them performed as well as they should have. Much is said about the need to find your audience and present your project to them, but how does one go about it? I think the first thing that must be done is boil down the exact characteristics of the people who will be the MOST engaged, or what my friend Jon Reiss would call the Super Core and find them and start communicating with them. 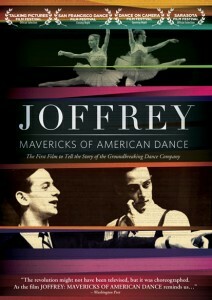 I want to share the information about how we accomplished this for my most recent project, a documentary film about the Joffrey Ballet entitled Joffrey: Mavericks of American Dance that I am working on with Jon Reiss’ Hybrid Cinema. We started work in October 2011 for our premiere as the opening night film of the Dance on Camera Festival at Lincoln Center in January 2012. Obviously, this film is for ballet fans, right? We could even go wider and say those interested in dance, or performing arts, or fine arts, or classical music and theater. Maybe even a gay niche, or luxury products or wine aficionados. It is typical thinking for most filmmakers I encounter and definitely it is for distributors, let’s go for the widest audience possible! But we are dealing with a modest marketing and distribution budget, a very sparse crew (4-6 people)and reaching a wider audience was not realistically going to happen out of the gate. We needed to get more targeted, laser targeted, and then spread from there slowly. It is my firm belief that if you are working with limited resources, you must “catch fire” with some small group first. Your “fire” will not be able to spread if there is no passionate group helping you do it. There is simply too much competition for an audience’s time and attention and trying to reach wide from the start usually results in not much traction. Your few sparks will fizzle. I could have started with the “ballet audience.” But even that is fairly wide. Every city and town in America has a ballet school, maybe even a company. There are patrons of these ballet companies who attend performances. Many are former dancers or had dance training at some point in their lives. How can I reduce the target even further without being so narrow that the super core would only result in 2 people or so wide that I can’t easily reach them? The laser targeted group I settled on was the alumni of the Joffrey Ballet. They are numerous (at least several hundred), they are spread out all over the country, many are in high level positions at other dance companies, and they have a deep, vested interest in seeing this film. Every Joffrey alumnus that I have forged a relationship with is a very passionate supporter of Robert Joffrey and Gerald Arpino, the founders of the company and the main subjects of the film, and they want to see this film succeed. After all, it is also their story; a story about a very sacred and special time in their lives. Who can be more passionate than that? Now, who are they and where to find them? 20 or so of them are in the film, but what about the rest? Luckily, a book was written by Sasha Anawaltin 1997 that had been meticulously researched. It included many names of dancers in the company as well as other associates. I read this book from cover to cover, underlining names, dates, footnotes about side stories etc. Also, the Gerald Arpino and Robert Joffrey Foundation had a list of names of alumni and some contact details. I also read 2 other books written by and about Joffrey dancers and made more notes. I started with these, making lists of years, who was in the company when, what happened to them if it was known and then got started on Google for more research. With some names, I came up empty and some alumni are no longer with us, but in the end I did get a nice contact list together. It was also important to research who was connected to whom so I could plan for my circle to widen. Some Joffrey alumni went on to work with other choreographers, other dance companies and those connections could be useful to know for later help as we went into theatrical release in cities across America. Next post: Preparing for contact. Just because a documentary doesn’t get a theatrical distribution deal doesn’t mean it can’t be considered for an Academy Award. Since many great docs don’t get distributed theatrically, many filmmakers choose to qualify the film themselves. But it’s not cheap. 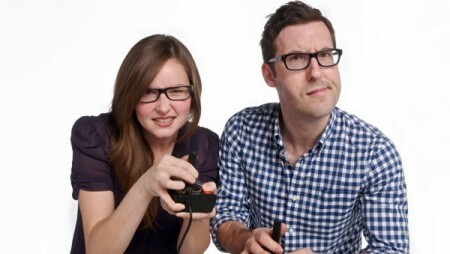 The least expensive option is the IDA’s DOCUWEEKS program (www.documentary.org), or you can four-wall the film yourself. It needs to run at least two times a day, for a week in New York City AND Los Angeles. Theaters that regularly cater to this kind of Academy-qualifying runs include the Laemmle’s in LA, and the IFC Center in NYC. Know in advance that you should expect to pay at least $30,000 to qualify this way. If you are considering this kind of run….TFC can help. Are you a documentary filmmaker who has worked with a distributor for theatrical exhibition? Tell us about it on our Distributor Report Card.